The "yarLson Field Upscale Project v0.35" download not working by me and bootleg tells me I need it. The mirror link is working. Can anyone upload the custom shaders from this pack? All the other links on the forum are dead and I don't use bootleg to install my mods. I'd appreciate it! Do you think we'll ever see a comprehensive mod collection for FF8 called "Squall's Package?" I know the fangirls would love it! Do you think we'll ever see a comprehensive mod collection for FF8 called "Squall Rinoa's Package?" I know the fangirls would love it! I said for FF8, not FF7. Eh? Rinoa is from FF8; she's the closest equivalent the game has to FF7's Tifa. 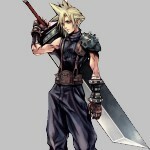 "Squall's Package" only makes sense if this one were called "Cloud's Package". Ah my bad, got Rinoa's name mixed up with Tifa. If that happens than an audio mod for FF7's SFX (the PS1 SFX are better than the PC versions) won't be too far behind. You guys are lucky compared to us, FF7 only has about 1/2 the amount of SFX so designing such a mod would be a piece of cake in comparison. Okay. So I may be a bit late to the party . . . BUT . . . is it just me or are half of the links down right now? Anybody fancy re-upping them? Or relinking if that's the case? Click on the second link [Direct Download] in the OP. They are all listed there. I did try that yesterday but it wasn't working for me. I recently moved to India and it turns out that adfly links are blocked in India (in case anybody else is having this issue from outside the west). So good job you told it me it was definitely working or I'd have been adamant it wasn't! Okay, So before I quite literally spend hours downloading this (like I said I just moved to India, I also gotta watch my GB's) . . . but anyway am I right in thinking that the Omzy field pack is what I am looking for if I am wanting facepalmer textures? I searched about and I know Omzy is the author but just wanted to make sure there aren't 2 versions or something. Some mods have multiple versions to download. This doesn't mean they are different, it just means they have different file names. In most cases, this happened because years ago the file hosting sites had size limits for the files uploaded, so they had to be broken into multiple parts to upload. Just check the Mod Listing in the BFE and download one of them. When you do that and add it to the correct mod source folder, the Mod Listing will turn green for all of its options. The FacePalmer textures is an example of one that has multiple downloads, so just grab one and they will all turn green. I have tried every link I swear, all are dead and I can't find it on the MEGA link . . UNLESS it is the nightmareOST files? Essentially I have to download them from work where the speed is faster and it doesn't eat my data. But often, as you sad before, some of the files kind of have their names hidden within a packed file or something or are renamed for various reasons. But I just have no way of knowing what exactly constitutes an alternative file. Nowhere seems to specifically say ostre.7z alternative . . or whatever. So essentially, I guess I just want to know where I will find this? So . . . any work around? Anybody got working link? OR anybody know the correct file name in the MEGA folder? 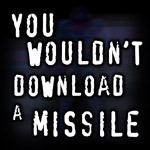 OR even easier does it automatically appear within one of the other downloads? I hope I'm not just being an idiot about this. so if these ostre files are in any of them let me know. They are gonna be downloaded tomorrow. I assumed they would'nt be hidden in AH exe or the install exe but I could be wrong of course. p.s - what is the difference between the anxious heart versions? I couldn't find any specifics. I haven't made a choice yet on what soundtrack to use. But if any have particularly funky versions? The OSTRe is included in FF7music_install_15112.exe, so it should turn green once you get that added to your Mod Listing. What are the options for Anxious Heart? As for anxious heart the options are AH Original, AH DLPB, AH Fan, AH Professional. (I think, I'm away from my laptop, but it sounds right) Collection variations I assume but how to find out? so..... i just want to grab the trainer from the bootloader menu .. how can i do this?